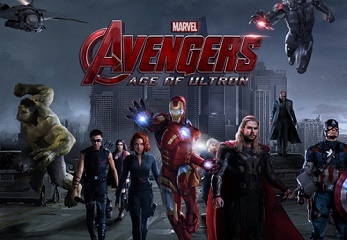 Recently a guy named John Gazelle leaked the trailer of Avengers Age of Ultron just before the official release of the trailer from Marvel. At that time Marvel strategically made no fuss about the incident and just requested the user to take down the trailer. Within a short time, Marvel released the official trailer and things exacerbated after that. Then Marvel filed a request for a subpoena against Google in the U.S. District for the North District of California so that the identity of the leaker can be traced. You can view the original subpoena attached in the link at the end of the article. The court granted the subpoena and said, “YOU ARE COMMANDED to produce at the time, date, and place set forth below the following documents, electronically stored information, or objects, and to permit inspection, copying, testing, or sampling of the material.” However Marvel also requested to the court to grant consent onto the “the designated premises, land, or other property possessed or controlled by you at the time, date, and location set forth.” But this permission was not granted by Federal Judge Richard Wieking. But he ordered Google to reveal the IP address of the person named as “John Gazelle”. Google will be present at the court on November 18. It also ordered Goggle to reveal the IP addresses linked with the Google Plus account and YouTube channel. You can read the subpoena here.